I was raised by a Tiger Mom. Before The Battle Hymn of the Tiger Mom came out, offering the apt epithet, I referred to my mother as a Nazi when I confided to my friends stories of my strict Confucian upbringing, during which I was in constant fear of getting a B+, aka the Asian F, lest I become ostracized from the family. No exaggeration. I recall nights before pre-calculus exams, lingering in the bath, contemplating suicide, and vacations enrolled in summer school learning an entire year’s worth of math and science within three months–not to catch up or repeat a grade–but to get ahead so I could join the advanced-track class in the fall. To this day, I feel a suffocating malaise during the first hot day of the year, as though I will be forced again into the slough of summer despond, sweating in a hot, lugubrious classroom, surrounded by the druggies and the special-ed kids, as I slogged through equations and logarithms. As I get older and such memories grow dimmer, I have in tandem acquired the habit of putting matters into their rightful context. Case in point: my Korean mother was seven-years-old when the Korean War broke out. Her father, a high-ranking official in the Korean government, escaped the city immediately for fear of being put to death–as the communists eventually did his mother, with a bullet through her head. My mother’s mother, my grandmother, was then left to her own devices, with three young girls under the age of eight, to fend for herself. Forced out of their home by the invading communist army, they became refugees, fleeing south towards the safety of the refugee camps. During my teens, when footage of Ethiopian civil war refugees was ubiquitous in the news, my mother would mutter with a sigh, “When I see those refugees, I think of myself during the war.” And I could see in her eyes that part of her still remained there, a vulnerable, traumatized seven-year-old fighting for her life. In this light, my feelings towards what I saw as her implacable, slave-driving pedagogy softened. And I began to see her side of things when she uttered the mantra of my high school years: “There’s no war going on, there’s food on the table and a roof over your head; there’s no reason you shouldn’t be able to get straight A’s.” In a way, her logic was infallible. So how did I turn out? I managed to get into a prestigious enough university to satisfy my mother, then won a fellowship to a PhD program at an Ivy League institution and went on to earn an MFA in Fiction in one of the country’s best programs. At some point, I learned to strike the critical balance: I could deliver the demanded results, but on the condition that I study the topics of my–not my mother’s–choosing. When I began to find the subjects that really interested me, the straight A’s became a by-product of my enjoyment. Though I wasn’t a huge fan of high school, I’ve come to love learning. It thrills me that knowledge grows in a cube of ignorance because I will never be bored. I love mental challenge, and there lurks within me an unshakeable confidence that no problem is insurmountable. 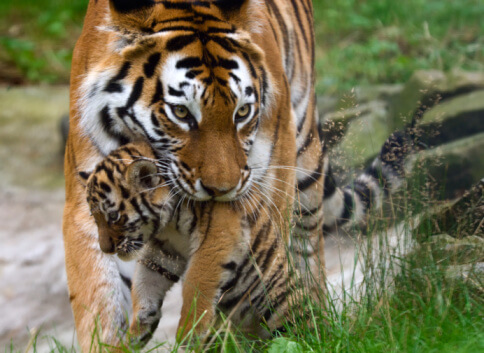 Would I have turned out this way without being driven by a Tiger Mom? I will never know. But one thing I know for sure: my mother pushed me to limits that stretched, challenged and forced me to reach for resources I would never have known I had. Resources that would otherwise have remained buried under good-enough standards and easy complacence. And for that, I can only be thankful. 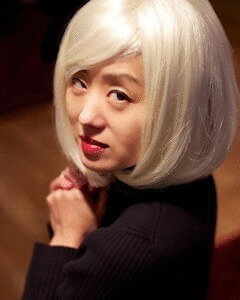 Kalliope Lee earned an MFA in Creative Writing from NYU. Kalliope's ebook, Sunday Girl can be purchased as an from amazon.com.